Another PES 2015 DLC will be released this month and we might get to know what's included this week. Adam Bhatti just apologized for the delay of news about the PES 2015 December DLC on Twitter, stating that "hopefully you'll hear about it this week." @Twebastian10 Sorry for the delay of the announcement. Content is locked in regardless, hopefully you'll hear about it this week. 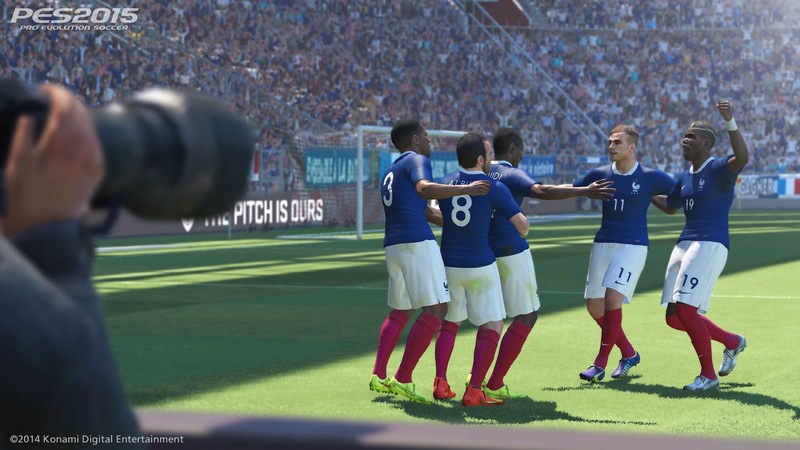 The PES 2015 December DLC is expected to add more European teams, while also updating the number of stadiums on both Playstation 4 and Xbox One, which currently have less stadiums than the old generation of consoles. Updates to kits and new boots should also be included in the new PES 2015 Data Pack. Going by the last few years, the PES 2015 December DLC 2.00 should be out shortly before Christmas, i.e. from the end of next week.